I must confess that I’ve only played through The Witcher 3 up through now. I had tried the original Witcher game but the combat system and difficulty spikes always made me walk away after the first act. That changed when I tried The Witcher 3 and fell in love with the universe. A fantasy world that really shows the xenophobia and hatred that people are capable of? Sign me up! 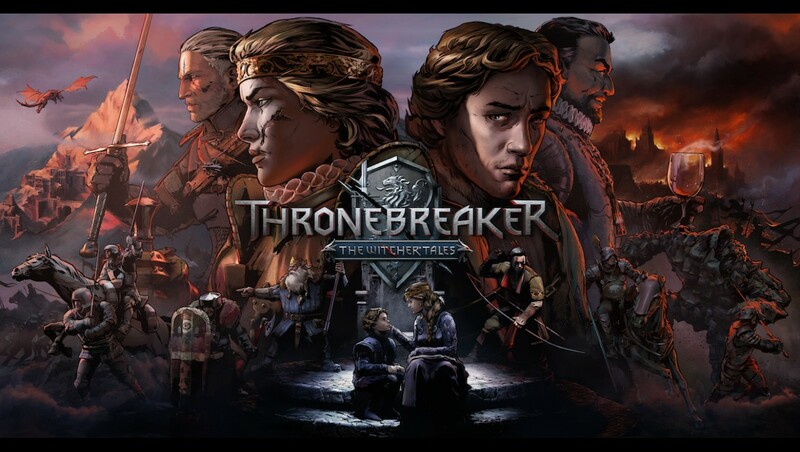 So, when I was offered the chance to check out Thronebreaker: The Witcher Tales I was more than a little excited. 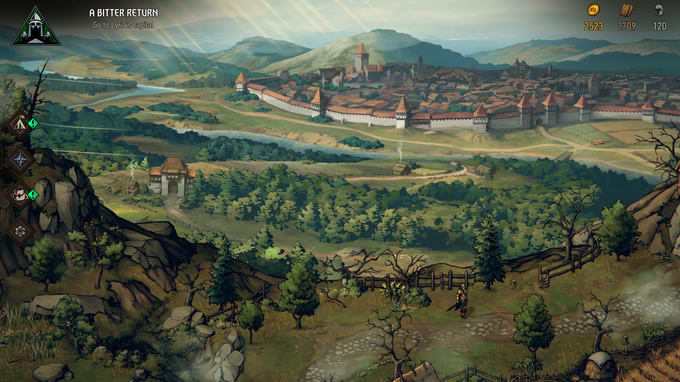 Now, the first thing you should be aware of, is that this is not a traditional Witcher game. You are not taking on the role of Geralt of Rivia, but of Queen Meve and you yourself will not be engaging in combat, instead you’ll be using Gwent to resolve battles. Yes, it’s basically the Pokemon Trading Card game for the Gameboy Color. I was very apprehensive of this change as I found Gwent to be a very shallow game that usually came down to just having the most powerful cards. However, I was pleasantly surprised by how much depth has already appeared in the game. You control Queen Meve of Rivia and Lyria just as she is returning from a meeting of the northern rulers to discuss the growing threat of the Nilfgaardian Empire and strengthen their alliances, she has left her son Prince Villem ruling the realm in her stead and it seems that he wasn’t ready for the task. 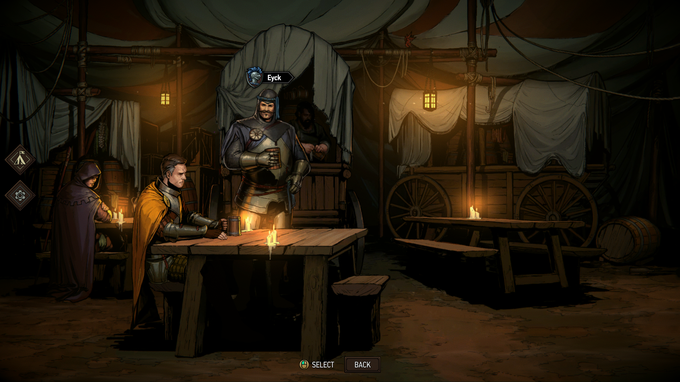 Your first task upon arriving back in Lyria is to investigate the bandit group The Strays of Spalla, a group of brigand led by the Duke of Dogs that Prince Villem has so far failed to stop. Meve takes command of the royal forces that were previously led by Count Caldwell and then you’re “free” to continue as you would like. I say free, but the game is on a definite rail, there is really only one way through the map, but there are plenty of optional little areas that you can explore for the completionists. As Queen Meve is the commander of the army, you are able to swap her weapon to give her different abilities, that really change the way your deck works. Her first weapon is a Longsword and it boosts your own cards and gives them armor, which is helpful when you need to keep your cards on the board or give some extra armor for card synergies. My personal favorite is the Rivian Broadsword, which damages all enemies with the same power by 4, which can be a huge swing on the board. As you encounter and recruit powerful characters, not only do you gain a very powerful card for your deck, but you can talk with them in your camp’s mess tent to learn more about their story and background. 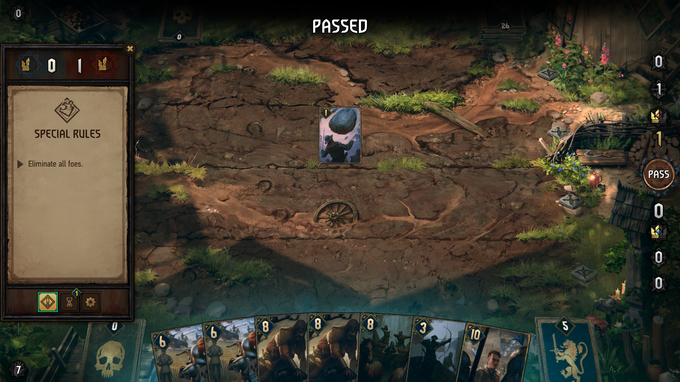 The actual gameplay is not what I expected, those familiar with Gwent in The Witcher 3 are probably expecting the standard 3 rounds of play with very little ability to influence the opponents board, but most of the battles so far have been puzzles, which only last a single round and require you to heavily interact with your opponent’s board. My favorite of these so far was the fight with the Manticore, each of this monster’s body parts has an effect on the board and it feels like a very exact, surgical puzzle as you slowly pick apart the beast until it has been defeated. 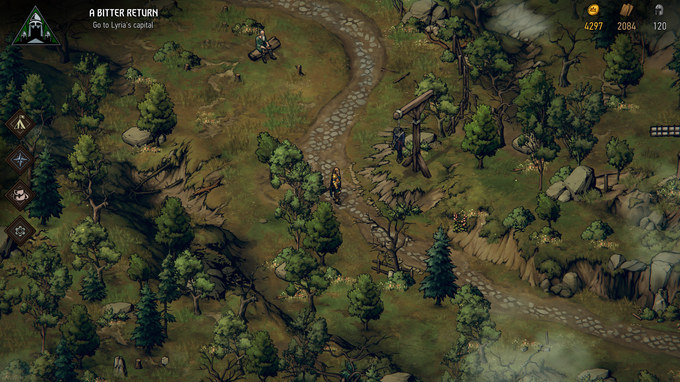 While I mentioned the game map has just one path, you are often given choices on how to deal with events, and while those choices have repercussions, you may not feel them for quite some time. Early in the game I was given the choice the stop a riot against nonhumans, which then gave me a chance to have an elf recruit join my army as he no longer felt safe in the town. It seems like the best thing to do, the right thing to do, so I brought him along. An hour or two later and I was notified that some of my cavalry had been poisoned, and another hour after that, the same elf was found poisoning my soldiers! Needless to say, the queen’s justice was swift. 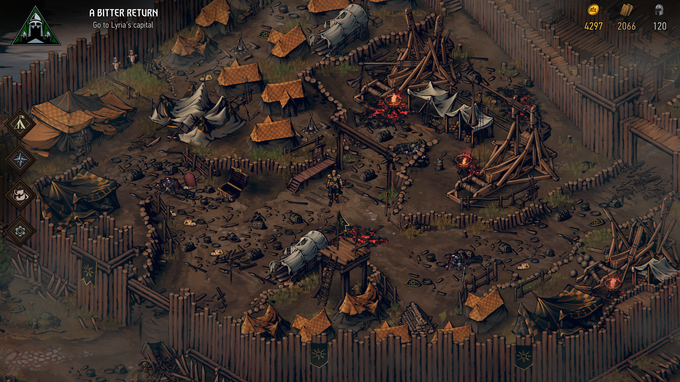 Thronebreaker is out now on PC and launches December 4th for consoles. I’ve had a great time so far and I highly recommend it for anyone who is interested in low fantasy worlds, puzzles or just beautiful landscapes.